and your Enterprise Resource Planning (ERP) System. 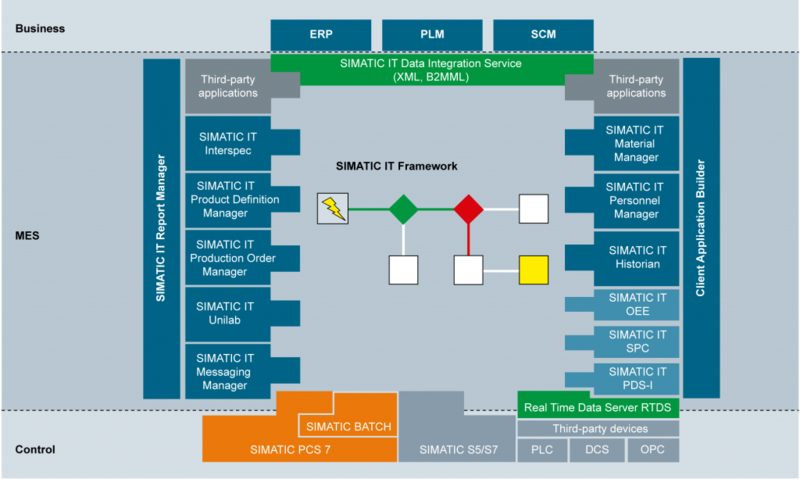 On the most advanced level, a Manufacturing Execution System (MES) and Enterprise Manufacturing Intelligence (EMI) system will provide you with the ability to fill in the Technology Gap which exists between your Process Control System (and other systems in areas such as the Bottling Area or the Services Area) and your Enterprise Resource Planning (ERP) system. A lack of overall Process Visibility from malt intake to bottles. A lack of performance information on extract yields, equipment utilization and turnaround times. Lack of accurate tracking of materials, product tracing and loss reporting. Lack of accurate recording of utilities usage. Manual recording and the use of standalone spreadsheets. Manual entry of production and quality data into ERP system. We partner with recognized leaders to help you select the right MES/EMI system to fulfill your specific needs by means of a vendor and product neutral consulting service. Experts with proven track records, provide you with practical consultancy, guidance and oversight on the benefits and pitfalls of MES/EMI implementations in the brewing industry. Give us a call and let us take the first step to identify the benefits of PCS-MES/EMI for your Brewing Operations.